One of the downsides of reading well-known books is that you come into it with more preconceived notions then necessary. You already assume that the book is about one thing or another, without letting it speak for itself. Sometimes books can’t break through this, but other times, as in my recent first reading of Fahrenheit 451, they can. 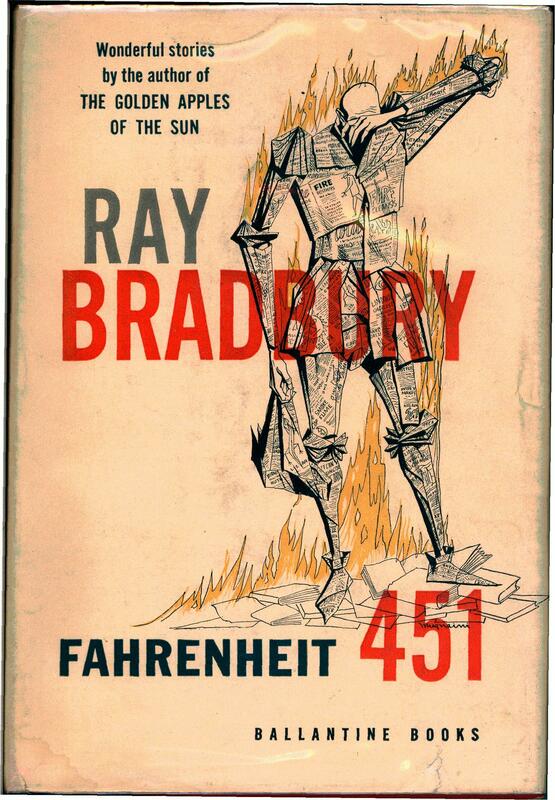 Fahrenheit 451 isn’t about censorship. I came into Fahrenheit 451 expecting to read a book about the dangers of censorship. I expected to hear the values of free speech and a free press extolled, sometimes to the point of the story being drowned out by the preaching of the theme. What I got was very, very different. Fahrenheit 451 is, in my opinion, not about censorship. It’s not about free speech or a free press. At least, I don’t think its about those things alone. I think that looking at it that way undermines the depth and quality of the thematic material within the book. So, if 451 isn’t about censorship or free speech, or a free press, then what is it about? First and foremost, I think Fahrenheit 451 is a story. A story that’s actually quite good. To my surprise, there wasn’t much preaching, and there were legitimate characters who were well-developed. The world was real, at least for the time I was in it. Granted, the book could have had some of its metaphors cut (see this blog post), but all in all, it was a very well-told and enjoyable story. Yes, yes, it’s a classic. You didn’t come here, and I didn’t intend, to give you a review of the book. I want to talk about the theme of this book. What is it about? Thematically, that is. From my reading, I got the sense that Fahrenheit 451 is about freedom in general–and not just freedom from the government, but simply freedom as a concept. It examined the dangers and the traps that freedom brings with it. It examined the helpful, good qualities of freedom as well. It gave a nuanced–and sometimes frightening–picture of freedom. How so? First, I was fascinated by what appeared to be a critique, of sorts, of freedom. In the world, how is the government able to keep control on the people? How were they able to get the books banned? How were they able keep the people dumb, and keep them in a state where they could control all the information they received? They were able to do it because the people consented. In essence, the people stood by and watched it happen. They watched their culture slowly deteriorate, and chose–used their free choice–to stop reading. They freely chose to fear books. They freely chose to let history be altered. They freely chose to become enslaved to the media, believing all the government told them. All the government did was take advantage of the free choices the people made. Ray Bradbury, the author, didn’t show freedom to be angelic. He didn’t show people using their freedom to do only good. He showed freedom opening the way to enslavement. I’ll continue this discussion of the theme on Friday, with Part 2. Be sure to check back then for an investigation of the (less depressing) side of the theme of freedom. This quote says far better than I can say, what I’ve been writing about lately. The concept of stealing from the masters, in a sense, and learning from their successes.